Provide attendees name of the Association sincere congratulations commissioned d / Salah Hilal portfolio of the Ministry of Agriculture and Land Reclamation wishing him success. It was his testimony with a brief from the Assembly and the main goals and the most important issues championed by the Assembly on behalf of breeders and producers. It was the review of the importance of the Egyptian Federation of Dairy Farmers in protecting the dairy sector rights in Egypt, In another follow-up to manage the Assembly to the subject of Alatha been science to refer the bill the establishment of the Egyptian Federation of Dairy Farmers to the secretariat of the Council of Ministers and the Ministry of transitional justice was asked to discuss the project in the presence of a representative of the Ministry of Agriculture and the presence of representatives of the Assembly, and asked the sovereignty out to provide the necessary support for the Union out into the light. Sovereignty may prefer to take the final draft of the EU project for review by the legal adviser of the ministry and promised to do what is needed in connection with the adoption of the Federation of Dairy Producers Association and benefit administration at the time. Where the number of Animal Production Farms terminate needed to obtain funding from the Participation in the European funding program banks actions already obtained the approval of these banks, and under those farms began in the inauguration of the construction and buildings while finance Exchange, but was informed that farms stop funding the program until it is reconfiguration of the Board of Trustees of the New. So was the demand of the Minister of Agriculture sure to check out the restructuring of the guidance of the Council as soon as the farmer to spare future losses, which the owners may be exposed as a result of this program stopped. Sovereignty that the program is turned off until the review and restructuring of the Board of Trustees at the earliest and will be useful in time management Assembly reported. Where the real estate tax has been imposed on all Mnchaouat animal production farms at the level of all the governorates of Egypt from the Sinai to the level, even though the animal production projects are agricultural projects in the first place and not investment activities. So was the demand of sovereignty by giving certificates for Animal Production Farms to deal just like the agricultural projects. 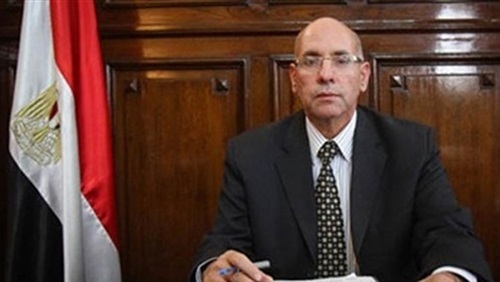 According to its sovereignty that will be studied this file with the Minister of Finance to reduce the tax for these tax estimates and not canceled. 1. obstacles exist for licensing of new farms where they parked without justification by land protection department, which only allows them to rate equivalent to 2% of the total land area and this is contrary to the Ministerial Decree No. 1836 of 2011, which does not restrict animal production projects and dairy production this ratio where these projects are projects that achieve food security objectives and intervention for the purposes of reclaiming and cultivating the desert land and in accordance with Article 5 of the Implementing Regulations of the Law No. 143 of 1981 and issued in 1982. 2. farms have been modified to renew licensing procedures to be every year instead of every three years and that it takes three to four months to terminate the license renewal procedures, and is required to restore the situation to what it was previously, and the application of one-stop shop policy to facilitate the procedures. 3. There are no clear criteria for determining the licensing fees where fees are estimated at $ three hundred pounds a barn / umbrella, and there is no specific information or dimensions of the word barn / umbrella specifications. In this file the Minister of Agriculture would prefer that the protection of land with a lot of corruption department is currently working on a cleared and the issuance of administrative decisions working to address and resolve many of the problems facing educators, producers and farmers. Within the framework of mitigation of the financial burden that falls on animal production, the production of dairy farms in Egypt, we asked for a helping hand to provide guidance to the treatment of animal production projects just like the treatment of agricultural projects in energy costs accounting. But Agriculture Minister pointed out that the Animal Production projects are investment projects and not agricultural !!! This project contributes to the development of veterinary services system and improving production conditions, and by conducting a scientific inventory of accurate and comprehensive of all the animals and give each animal a national number, which contributes to the design and development of the future of the livestock in Egypt.